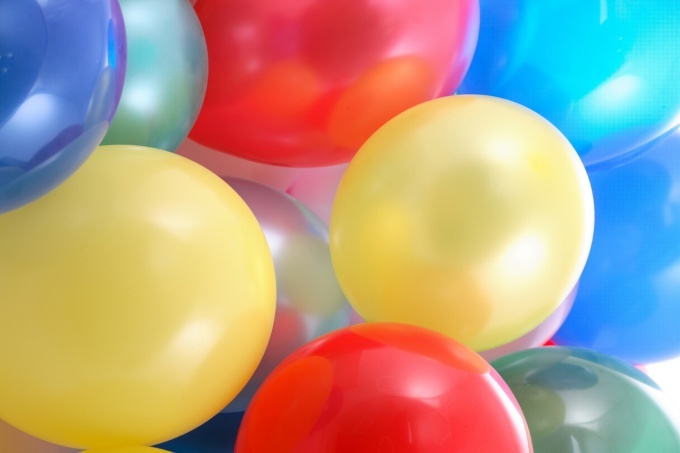 The beads are round and curved, inflated with air or helium, in the hand of a toddler or flying from the ceiling... it's All the usual attributes of most holidays. But how to untie the balloon when the air went out of him, and to leave the favorite gift you do not want? This is usually pretty difficult, but still possible. Have patience and be very careful. Try to untie the balloon, tightly covered cotton thread. Typically, these fibre knots are made at home, and to work them out is very difficult. Sprinkle on the node a little of any vegetable oil or smear it with a fat cream. You can also lather it. Then knead well the knot of the thread between thumb and forefinger. Look closely at the site, and find the place where the overlap of the two ends of thread. Now very carefully so as not to pierce the ball, pry the lower part of the knot with a knitting needle. It is better not to use for launching products needles and pins – you unwittingly can make inconspicuous a hole in the latex, and re-inflated the balloon will burst. Gently push on the end of a spoke through the bundle, gradually untying him. From time to time help yourself, lubricating knitting needle with vegetable oil or just soaking it with water. Do not use for fixing the balloon with a thin cotton thread, if you would like it then to untie. Filling the balloon with air, stretch the end of the inflator hole and 3-4 times twisted it at the base. Then tie off the product thin decorative braid – your ball will be more elegant look, and it will be much easier to untie. You can also use synthetic acrylic yarn or other thick threads with the sliding surface. Master the simple knot, which tied the balloons specialists in the festive decoration of interiors. Firmly clamp the "tail" of the inflated balloon to keep the air out. Pull it with force and spin, then you need to wrap the end of the latex product on two adjacent fingers. Pass the "tail" is formed between the loop and tighten the knot. Unleash the Orb tightly in this way is quite difficult. But still, it's easier to do than to unwind the knot of thread. Buy as a gift or for interior decoration, foil (Milroy) a balloon – it is more durable and long blown away. It is fixed using a special valve and tape. To unleash such a metallized product will have soon, and will make it much easier.